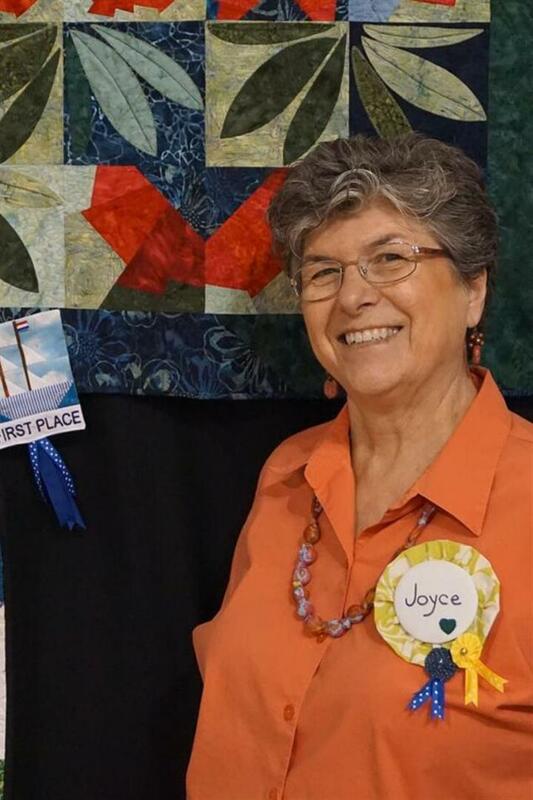 I entered five quilts in our guild’s recent quilt show and was tickled to receive a First place and Third place ribbon. 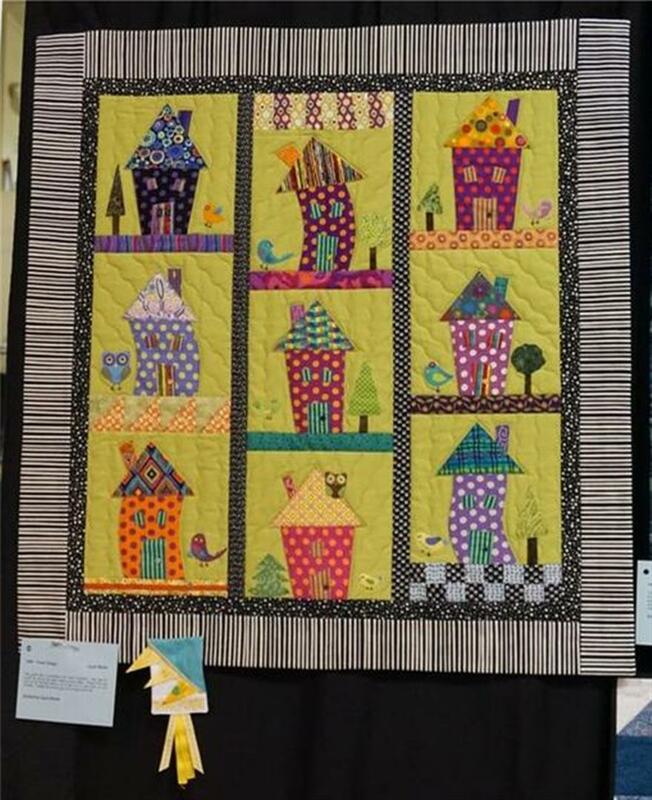 The third place was for my “Tweet Village.” Our guild had a workshop with Ellen Guerrant and used her pattern “Tartan Town.” It was such fun grabbing scraps from each others’ scrap piles! I named it because there is a bird with each house – even one owl. 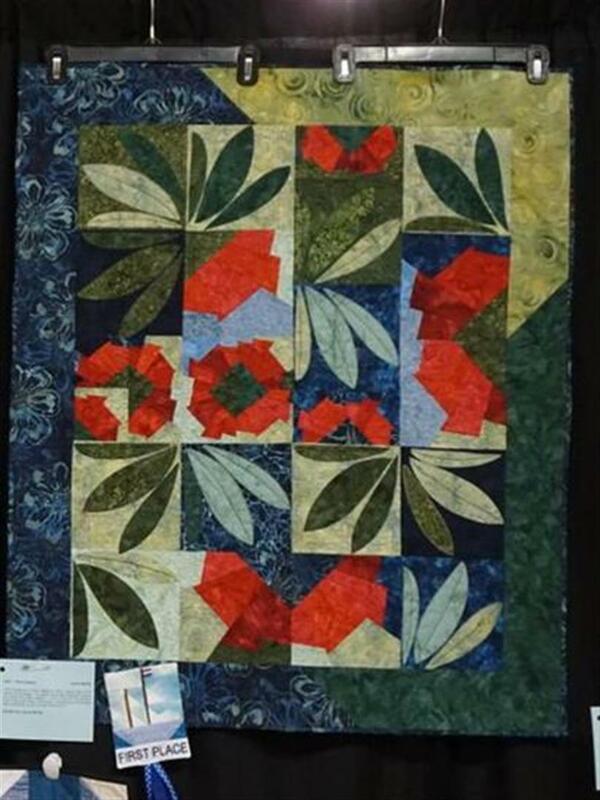 Someone special to me rather fancy’s this quilt, so I’ve already set chosen fabrics in a project box and hope to get to it in the next year. My first place was the “Pohutukawa” (New Zealand Christmas Tree) that gave me fits in the process, but am so glad I persevered, finished and entered it! One of our members made our winning ribbons. Wish I had gotten a pic of all the different ones – each place was so unique! Along with our ribbons to pin on our quilts, we get a corresponding little yo-yo ribbon to pin to our name tags – Don’t we just love bragging rights! Two years ’til the next show – WHEW!! Posted in Uncategorized and tagged Art Quilt, batiks, challenge, Christmas Quilt, Color, Fabric, guilds, Machine Quilting, projects, Quilt, Quilt Show, Quilting. Bookmark the permalink.